Poppy seeds are a favorite ingredient in Indian and Chinese cuisine. In these cultures, they have been appreciated for their versatility, since they can be included in bakery products, pasta, and soups.They come from the poppy flower (Papaver rhoeas), a plant from North Africa, which also abounds in places with a high concentration of lime, such as western Asia and parts of Europe.They are found as a small black fruit whose taste is compared to that of the walnut. Also, they are valued for their significant nutritional contribution, since they contain substances that are indispensable in a balanced diet.Best of all, they can also be used for medicinal purposes, as many of their active ingredients act positively in the control of some symptoms and diseases.Considering that they are not as popular as other varieties of seeds, today we want to dedicate this space to reviewing their main health benefits of poppy seeds and forms of consumption. Because of its variety of essential nutrients, poppy seeds have stood out as an exciting complement to the diet. They are very low in calories and contain active ingredients that promote physical and mental well-being. Essential fatty acids: they contain doses of omega 3 and omega 6. Dietary fiber: each portion of 50 grams contributes up to 12% of the recommended daily amount of fiber. Vitamins: they are a source of vitamin B complex (especially B1, B2, B3, B5, B6 and folic acid or B9), as well as vitamins A, E, and C.
Minerals: a portion of 30 grams of seeds can provide up to 35% of the recommended doses of calcium and more than 50% of the daily intake of magnesium and manganese. Also, they contain zinc, copper, potassium, and phosphorus. Proteins: a tablespoon of seeds provides about 1.5 grams of protein. Including a small portion of poppy seeds in the diet can have many benefits in the body. These, among other things, help maintain a reasonable level of physical and mental energy to reduce the typical “downs.” Why should you take them? This is probably one of the most salient health benefits of poppy seeds. Thanks to its significant contribution of essential fatty acids, especially omega 3, it is a highly recommended food to take care of cardiovascular health. This type of healthy fat helps lower high cholesterol and triglyceride levels, reducing the risk of chronic disorders such as atherosclerosis and heart attack. Incorporating this ingredient into daily nutrition is a great way to improve bone health. Its contributions of manganese and calcium promote bone development and prevent disorders such as loss of density. Also, it has other essential minerals such as zinc, copper, and phosphorus, which even intervene in the strengthening and conservation of bone pieces. Poppy seeds are an essential source of vitamins A, C, and E, necessary to strengthen immune health. Its regular intake increases the defenses and decreases the tendency to develop bacterial and viral infections. Since ancient times, this ingredient has been highlighted as a natural sedative of the nervous system. Its properties control nerves and stress states that manifest themselves somatically. 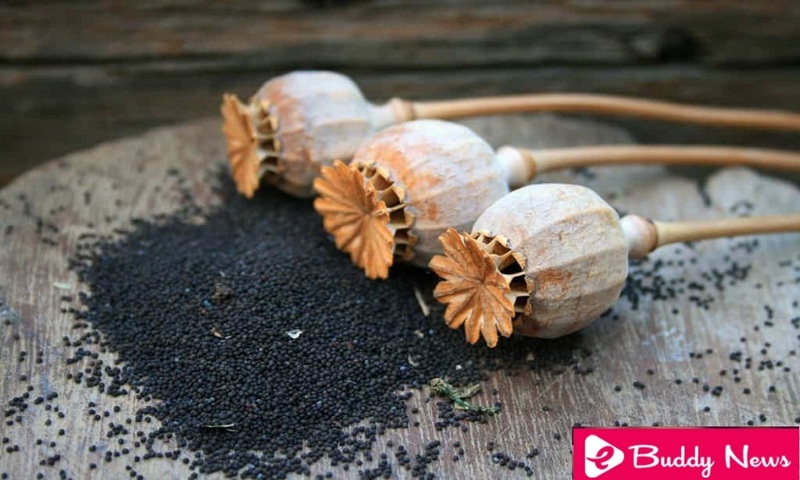 The dietary fiber contained in poppy seeds is used to stimulate intestinal transit when digestions are heavy. Therefore, they are indicated in cases of constipation and inflammation. How can poppy seeds be consumed? One of the significant health benefits of poppy seeds is their versatility. It is effortless to incorporate them into the diet because their flavor combines very well with other ingredients. They are not advised in pregnant women because there is not enough information regarding the effects on the fetus and the expectant mother. For its sedative properties, it is not convenient to consume more than the recommended amount. Its consumption in excess can cause stomach pains. Poppy seeds are ideal for any diet. They can be consumed on a regular basis as a preventive, or prepared as a remedy when some health problems arise.